Delite Dental (Washington) - Book Appointment Online! 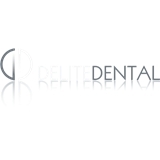 Welcome to Delite Dental, with 40 years of combined experience and continuing education, Dr. Freddy Sacoto and Dr. Soudy Dehghani are a team of highly skilled and experienced practitioners with a common goal, to provide you with the beautiful and healthy smile you deserve. Together, Dr. Sacoto and Dr. Dehghani provide a wide variety of treatments in general and cosmetic dentistry in a friendly relaxed atmosphere. Our team of knowledgeable doctors and friendly staff are truly excited about helping our patients achieve great oral health and a beautiful smile. We hope that you will find our practice accessible and affordable, we offer our personal commitment you look for from a Dentist. You can take advantage of numerous treatments to improve the health and appearance of your smile, including checkups and cleanings, Lumineers, Whitening and Invisalign clear aligners. I had an excellent visit. Dr. Dehghani was the most informative doctor I've been to, and really went in depth when explaining things to me. She also really customized my visit by making sure that I was comfortable at every stage and checking with my insurance carrier as well. Plus, the exam was incredibly thorough.